Learn about the impact of azo dyes on your supply chain and how to best ensure product compliance. What azo dyes are, what products they are found in, and why they are harmful to human health. The minimum requirements to ensure that your products are compliant with legislation. The reasons why you should protect your brand and the steps you can take to secure your supply chain. TiAzo dyes are a class of synthetic dyes used as colorants in many consumer goods, including textiles, apparel, leather, cosmetics, and even food. 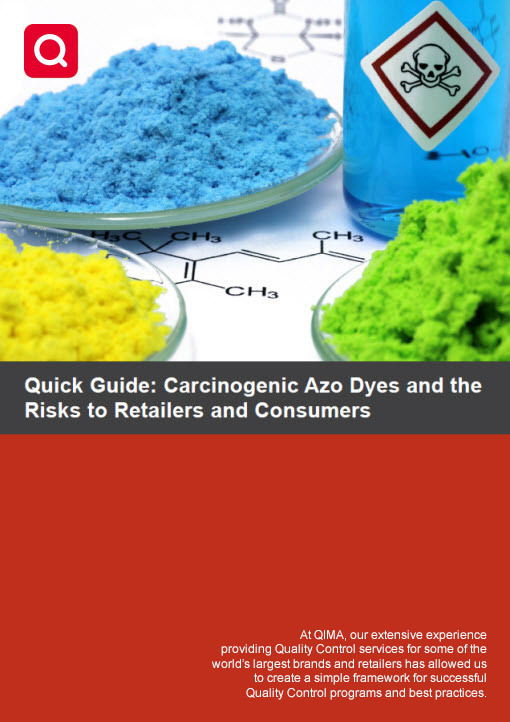 A number of azo dyes are listed as carcinogens, and many markets, including the EU and the US, have imposed legal bans or restrictions on their content in items that come in direct contact with the skin. Despite the regulations, the state of product compliance on azo dyes is far from perfect. Among products tested in QIMA labs, over 5% routinely exceed the allowed azo dye content. In 2014-2015, over 200,000 apparel items across 37 product lines were recalled in Australia, after the Australian Competition and Consumer Commission (ACCC) discovered carcinogenic dyes in imported clothing during a random screening. What products are at risk for failing regulations on azo dyes? All textile and leather products that come into contact with human skin. Which markets have banned azo dyes? The EU, China, Japan, India, Vietnam have already banned them; the US and Australia are considering a ban. Whose responsibility is it to ensure product compliance? It is up to the importer to communicate the requirements to factories and vendors, test source materials, and only approve compliant shipments. Download the whitepaper to learn more about regulations on azo dyes in different markets and the best practices to ensure compliance in your supply chain.